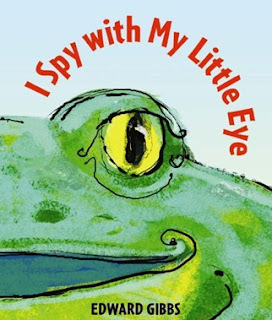 I Spy With My Little Eye is a book that is not only interactive but a teaching tool as well. Many children are familiar with the game of I Spy and in this book children enjoy that game in a new way. Peeking through die-cut holes, children are invited to guess which animal they will encounter on the next page. They are given a factual clue about the upcoming animal and when they turn the page they have a chance to confirm their guess ( a nice way to work on predicting skills with young children). The text of the story is simple and catchy enough that children quickly learn the words. During your classroom or home storytime, you can invite children to choral read with you but do not be surprised if you find the book being read, with or without you, many times. The last page of the book is quite impressive when you take time to consider what has been conveyed with a single picture. This time, do not be surprised if you find yourself saying "Subhana'Allaah" as you consider Allaah's Ability and Power. The next time you're at your local library, check the shelf for I Spy With My Little Eye and if you find it....Check it Out insha'Allaah!